← For a Kula without borders. . . my truth. Well. 2012 sure has delivered on its promise of enormous change! 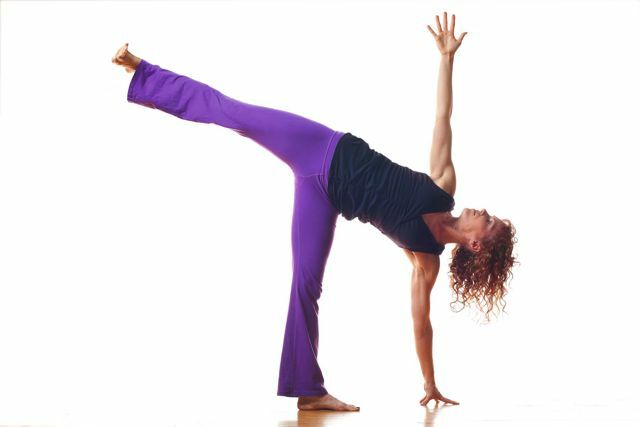 In the last month, an overwhelming cascade of events has impacted the Anusara yoga community. All of us are still processing these events in our own ways, and it’s probably not a stretch to say that we are surprised to find ourselves in this place. We find the deep camaraderie we developed as co-creators of Anusara yoga is stronger than ever, and we know these bonds help us both to serve others and to evolve ourselves. Change has invigorated our creativity and our self-awareness, so we don’t wish to replicate the old structure, or to create without careful consideration. Instead, we want to initiate a movement toward a new paradigm of collectivity that we can grow organically over time, one based on our education and shared wisdom. Moving forward, we know we won’t have a perfectly unified vision. This is a good thing–it allows room for more than one voice, and gives us the freedom to grow, independently and together. We hope to collaborate and build on existing relationships, in a decentralized way that fosters creativity and allows grassroots initiative. Some of us may collaborate on projects and programs to empower our students. Some may focus on building bridges to the larger yoga community. Some of us may work to re-imagine what a serious yogic education, with a true standard of excellence, looks like. Perhaps you feel the same? If so, you are welcome to learn more on a website we’ve started together, www.yogacoalition.com, and a Facebook group by the same name. There is no obligation, other than a sincere desire to move forward, to participate in honest conversation, and to practice with integrity. Who are you Yoga Coalition people? We are a grassroots network of yoga teachers who value practice in community and excellence in teaching. We are teachers, studio owners and advisers who have recently distanced ourselves from John Friend and Anusara, Inc. We are committed to working together in a way that is decentralized and collaborative, that encourages new local initiatives while deepening connections with existing global network of teachers. We choose to base our endeavors on excellence in practice, integrity of action, and a commitment to the values of community. Why are you coming together? What is your mission? Although Anusara yoga initially brought us together, it is our shared values, creative enthusiasm and bold intentions that make up the fabric of our relationships. We want to preserve what we are proud of–our high standards for teaching and learning, and our network of like-hearted individuals and studios–while we create new ways to collaborate and affiliate. Rather than creating a new style of yoga or a traditional organization of teachers, we want to work together to explore ways to make the most of our connections and resources. It will be instrumental to work in small groups and to encourage creativity and excellence at the local level. At the same time, we want to make the most of our global connections, and to collaborate on larger initiatives. So, what does Yoga Coalition do? Right now, we brainstorm a lot! We are first and foremost a community of yoga teachers interested in collaboration, so we are sharing ideas about how the coalition can best support yogic endeavors large and small. We plan to create projects and programs that empower our students and allow us to collaborate in new ways. Our vision includes building bridges to the larger yoga community. We are re-imagining what a serious yogic education with a true standard of excellence looks like. We are seeking ways to identify ourselves both within and beyond the Yoga Alliance paradigm. How is Yoga Coalition organized? Does it have a leadership structure? Yoga Coalition is currently organized as a grassroots network of teachers who share ideas and mutual support for our individual and collective growth as teachers, as yoga studios and as a community. As we grow, we will evolve. We’re currently considering what kind of leadership collaboration and structure will serve us best. Our intention is to inform those who are interested, and to establish over time a structure for shared development. Our intention is to be inclusive to all formerly licensed Anusara teachers who agree to the guidelines and/or standards of membership. These standards/guidelines are in development, as is a discussion regarding teachers on the Anusara path and beyond. The organizers of Yoga Coalition wanted a name that reflected the idea of a collective of individuals. Many ideas were suggested, and this one won out! Who do I talk to if I want to know more? We’ve created a Facebook group called Yoga Coalition to further these conversations, and you’re invited to join. To email us, please complete the form here: www.yogacoalition.com/contact/. This entry was posted in March 2012. Bookmark the permalink. Yes, yes, yes, yes, yes!!! I literally had sonomee tell me the other day that John Friend has changed yoga more than anyone else,,paleeezzzzzzzzzz I laughed-I actually thought they were joking, but they weren’t. I wish great success for you and all others in the YC! So perfect. I think we all go thorguh that, with the Certification process and many other things in life. We’re not meant to know it all how could we ever?! But you know more than enough to walk the path you have chosen. And it’s the heart, the intent, that carries you thorguh to the specifics and details. When I wrote my test, I breathed a sigh of relief when I saw that, even though it took time, I had the answers (or at the very least knew where to look in order to remind myself what they were.) I had a monumental experience of great love and connection to Light at one point when I took the exam, and cried out of gratitude for the experience.Blessings to you and your path, and all of us who walk side by side as we share the beauty that is Anusara yoga.